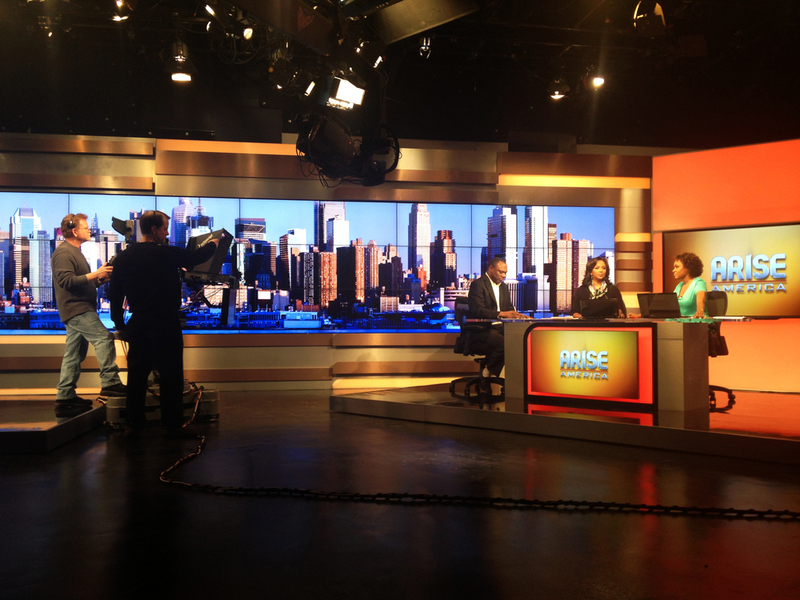 The new broadcast set for ARISE News New York was designed for the international debut of the network. 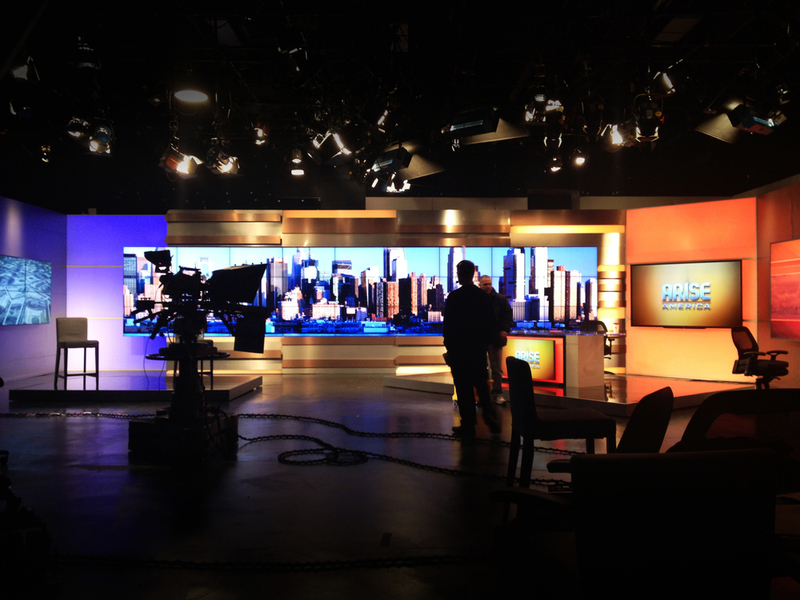 The initial design and installation encompass Phase 1 of a two-phase project that includes the network’s main broadcast studio, editorial newsroom and public lobby/reception areas. 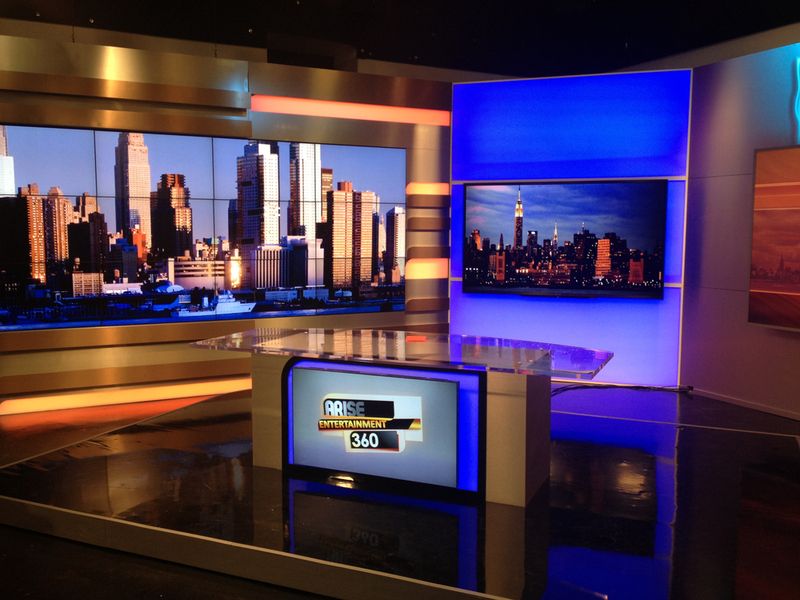 The set accommodates both hard news and entertainment show formats. 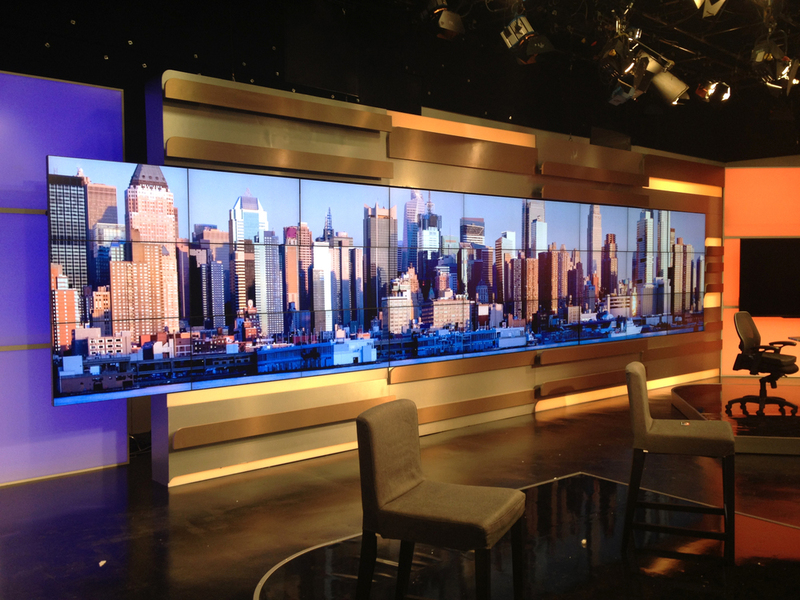 The design provides flexibility through use of color shifting, internally-lit lightbox walls and technology. 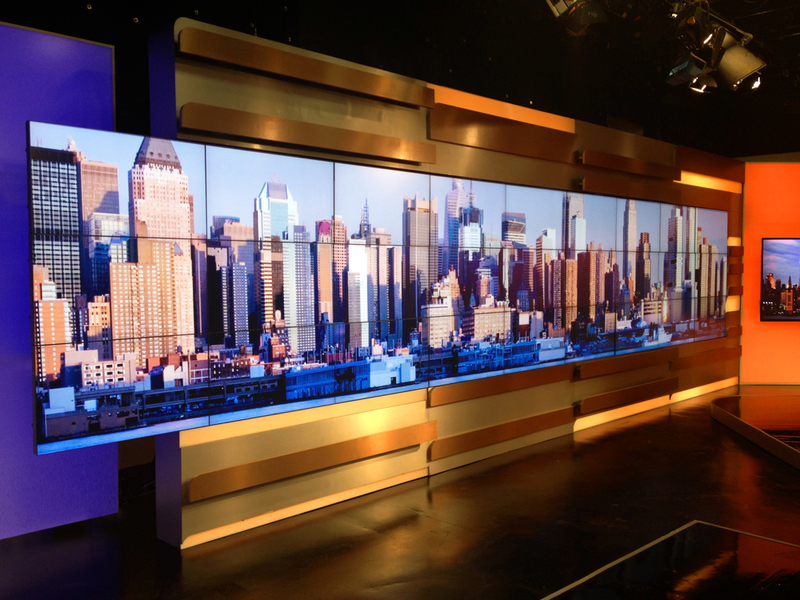 A large 32’-long video wall, comprised of a 3x9-unit array of 42” thin bezel monitors, connects both hard news and informal areas.